The Rancho Cañada project proposes 281-mixed-use residential units (182 single family homes, 64 townhomes and 35 condos) with140 deed-restricted for Affordable and Workforce housing; 2.5 acres of parks; 39 acres of permanent open space; construction of a levee; movement/placement of 200,000 cubic yards of fill; and extension of Rio Road into the proposed project. The project would create 281 mixed use houses. 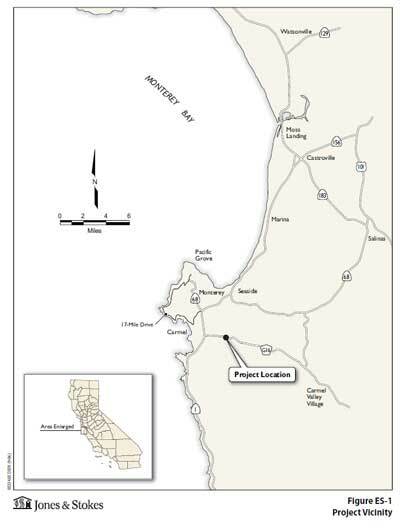 The project is governed by the policies of the 1982 Monterey County General Plan and the Ranch Canada Valley Specific Plan. The Draft Environmental Impact Report (1.6M PDF file) was released in January 2008. The Notice of Preparation (590K PDF file) was released in August 2006. The project will be recirculating a revised Draft Environmental Impact Report in the future. The project application was deemed complete in 2006. 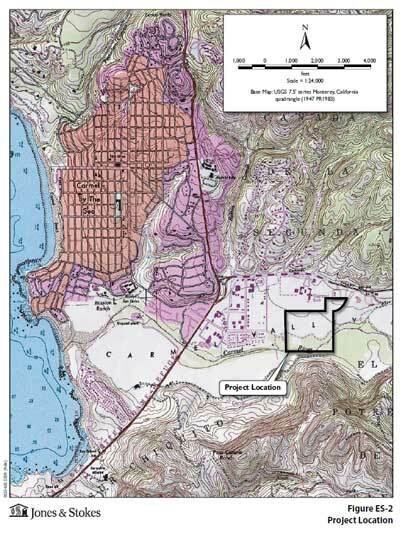 The project is located south of Carmel Valley Road. The project is located adjacent to the Carmel Valley School. The approximately 300-unit subdivision would be built in the floodway and/or flood plain of the Carmel River and it entails the use of 200,000 cubic years of fill in and around the Carmel River floodway. Though laws are in place that require the reduction of emissions to 1990 levels by 2020, the project would make it even more difficult for the County to meet a 1990 target and should be found to have a significant impact on global warming. The DEIR indicates the applicant’s water rights have been confirmed and the project would use less water than current demand. While the project itself may not require the same amount of water as existing uses, the “saved” water would remain available to be used by Rancho Canada at its discretion.